In 1955 West Virginia and upon a high-school sexual conquest, Curt sets on a course toward manhood. In preparation for a 1972 covert military moon mission, a restive passion challenges everything he had learned of being a man. Thirty-two years later in Los Angeles, Xochi, a genetic anthropologist, tests a recently found batch of astronaut blood samples and finds clues to the origin of a catastrophic pandemic. When forbidden to go public with her research findings, she destroys the data but sets a path from the allegories of a favorite poem that leads to discovery of a shocking conspiracy. After Xochi’s suspicious death, and as if spiritually led, her grieving fiancé goes on a cross-country journey to find the truth about her tragic death and the catastrophic details of her research findings. Confronted by the intolerant morality that forced Curt and his wife Claudia into a loving silence, Robert must decide on whether to claim revenge. (1) VR…This is a really bold novel. There is so much heart and imagination…It reminds me of Dan Brown or John Grisham. It is brimming with romance, intrigue and tension…a novel that will appeal to readers who love thrillers. 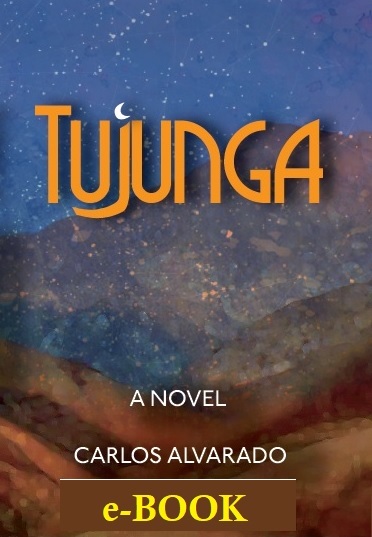 It has romantic parts, and a mystery that only serves to heighten the emotional core of the story…Tujunga is part mystery, part self-discovery, and part romance with a little bit of horror mixed into it.